Χάρη στην ποιοτική διαμονή και την άριστη εξυπηρέτηση του Favehotel Ahmad Yani Banjarmasin, στην επίσκεψή σας σε Μπαντζαρμασίν θα νιώσετε σαν στο σπίτι σας. Το συναρπαστικό κέντρο της πόλης είναι μόνο 0.5 km μακριά. Από τη βολική της τοποθεσία, η ιδιοκτησία προσφέρει εύκολη πρόσβαση σε κορυφαίους προορισμούς της πόλης. Όλα γίνονται με γνώμονα την άνεση των επισκεπτών. Για τον σκοπό αυτό, η ιδιοκτησία προσφέρει ό,τι καλύτερο όσον αφορά τις υπηρεσίες και τις παροχές της. Για να ονομάσουμε μόνο λίγες από τις εγκαταστάσεις του ξενοδοχείου, υπάρχουν τα 24ωρη υπηρεσία δωματίου, 24ωρη φύλαξη, δωρεάν WiFi σε όλα τα δωμάτια, 24ωρη ρεσεψιόν, ασύρματη σύνδεση Wi-Fi σε δημόσιους χώρους. Όλα τα καταλύματα διαθέτουν τις απαραίτητες ανέσεις για να εξασφαλιστεί μια ασυναγώνιστη αίσθηση απόλαυσης. Οι σπα, μασάζ του ξενοδοχείου είναι τα ιδανικά μέρη για να χαλαρώσετε και να ηρεμήσετε μετά από μια πολυάσχολη μέρα. Όταν ψάχνετε για ένα άνετο και βολικό μέρος για να μείνετε στη Μπαντζαρμασίν,το Favehotel Ahmad Yani Banjarmasin γίνεται το σπίτι σας μακριά από το σπίτι σας. 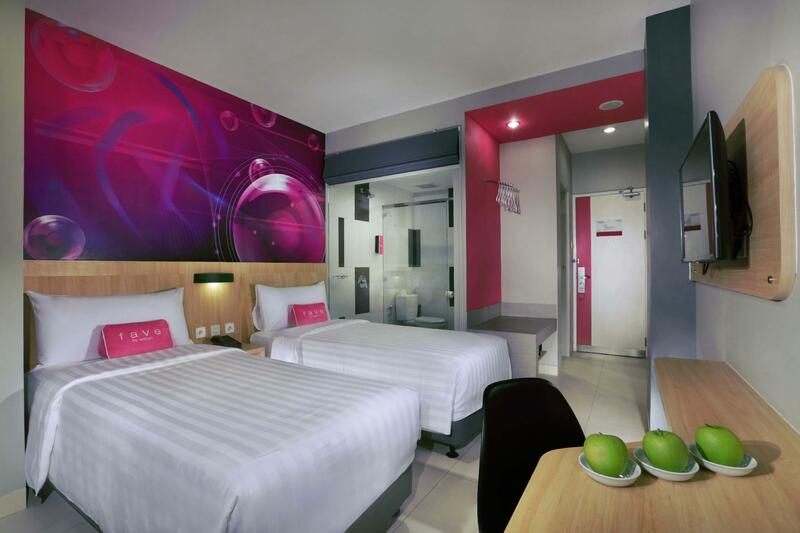 Good location, walking distance to Duta Mall Banjarmasin. Breakfasts menu was good with some variety; rice, pasta, fresh fruit, and salad. 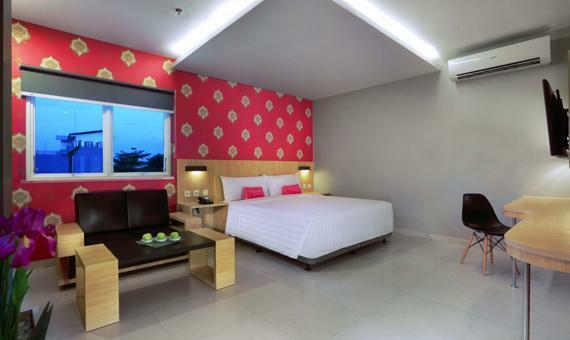 Helpful staff, VERY comfortable bed and bolster pillow. Have a nice shower good water pressure. Drainage in the shower is also good. Dear Mr. Azman, Thank you very much for your valued support given into favehotel Ahmad Yani Banjarmasin, we will always provide our high quality service and almost attention to you on your future stay to become more enjoyable. no water heater in each room. only one slipper. we should paid for hair cover, etc. 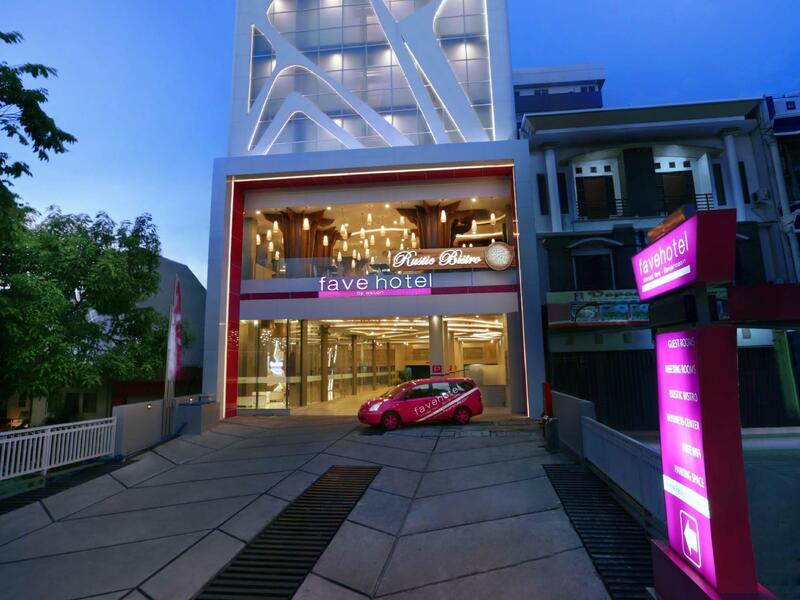 Thank you for your attention and have chosen favehotel Ahmad Yani as your accommodation facility while in Banjarmasin. The appreciation that you have given will be our reference to provide better service to our loyal guests in the future. favehotel is a budget hotel under the auspices of Archipelago International Indonesia which offers two stars (2 *) therefore we also have the facilities and facilities that are in accordance with the standard of a two-star hotel, but for sandals please contact our service and we will add as you like want and if you are pleased to be welcome to enjoy more facilities than our sister hotels in several areas such as Aston, Harper, Alana and Kamuela. Dear Mr. Isdianto, Thank you very much for your valued support given into favehotel Ahmad Yani Banjarmasin, we will always provide our high quality service and almost attention to you on your future stay to become more enjoyable. Dear Mr. Hassan, Thank you very much for your valued support given into favehotel Ahmad Yani Banjarmasin, we will always provide our high quality service and almost attention to you on your future stay to become more enjoyable. Dear Mr. Hadi, Thank you very much for your valued support given into favehotel Ahmad Yani Banjarmasin, we will always provide our high quality service and almost attention to you on your future stay to become more enjoyable. good bed. nice breakfast. very helpful staff. Dear Mr. Herly, Thank you very much for your valued support given into favehotel Ahmad Yani Banjarmasin, we will always provide our high quality service and almost attention to you on your future stay to become more enjoyable. Dear Mr. Thiam, Thank you very much for your valued support given into favehotel Ahmad Yani Banjarmasin, we will always provide our high quality service and almost attention to you on your future stay to become more enjoyable. Dear Mr. Rudi, Thank you very much for your valued support given into favehotel Ahmad Yani Banjarmasin, we will always provide our high quality service and almost attention to you on your future stay to become more enjoyable. Dear Ms. Novy, Thank you very much for your valued support given into favehotel Ahmad Yani Banjarmasin, we will always provide our high quality service and almost attention to you on your future stay to become more enjoyable. good place, good service, especially fair price. Dear Ms. Nur, Thank you very much for your valued support given into favehotel Ahmad Yani Banjarmasin, we will always provide our high quality service and almost attention to you on your future stay to become more enjoyable. Dear Ms. Venha, Thank you very much for your valued support given into favehotel Ahmad Yani Banjarmasin, we will always provide our high quality service and almost attention to you on your future stay to become more enjoyable. So far So Good.hanya saja bantal guling & bed cover ada sedikit kotor. Dear Mr. Heryanto, Thank you very much for your valued support given into favehotel Ahmad Yani Banjarmasin, we will always provide our high quality service and almost attention to you on your future stay to become more enjoyable. We are very apology for the inconvenience happened to you during your stayed favehotel Ahmad Yani Banjarmasin. Dear Mr. Jonathan, Thank you very much for your valued support given into favehotel Ahmad Yani Banjarmasin, we will always provide our high quality service and almost attention to you on your future stay to become more enjoyable.